Nintendo today announced a "new interactive experience" for Switch called Labo. 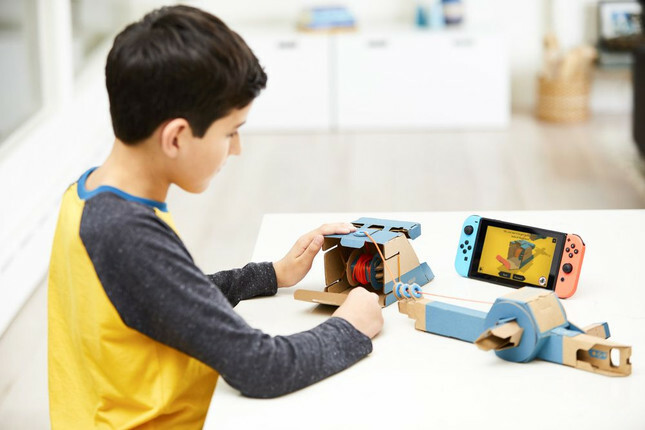 A line of cardboard do-it-yourself kits, Labo allows players to build custom-made accessories for Switch games, as well as things like radio-controlled cars. Labo kits work with the Switch console and Joy-Con controllers to become "Toy-Con" creations. For example, you can create a fishing rod peripheral to use in fishing minigames. When Labo launches on April 20, there will be a Variety Kit which includes five Toy-Con projects: two RC cars, a fishing rod, a house, a motorbike, and a piano. It will cost NZ$120. There will also be a Robot Kit, which comes with an entire robot suit for players to make, which will cost NZ$140. Each kit comes with a specific game that is compatible with the its Toy-Con creations.